It’s all about grace under pressure and every day Deborah Elias, CSEP, CMP, CIS exhibits that characteristic, whether she is dealing with clients or vendors. Since starting her business Elias Events in Houston, she has planned hundreds of amazing events across the United States, and international locations such as Canada, Mexico, Cuba and Dubai. She is an award-winning event planner with achievements of distinction including three time recipient of the International Special Events Society Esprit award and once the exclusive hospitality industry Gala award. 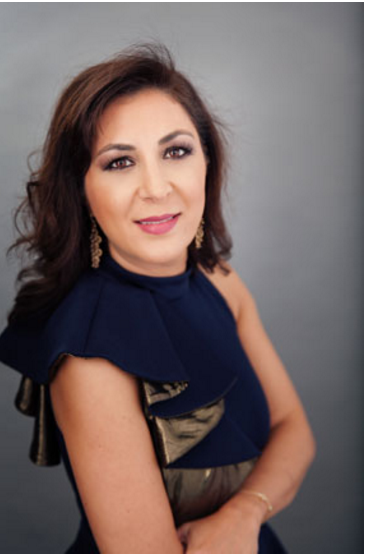 She has served on many industry boards including as president of Houston Chapter of the International Special Events Society, the SEARCH Foundation and Special Events Magazine boards and currently sits on the Texas Meeting and Events Advisory Board. She frequently writes for several publications including CultureMap, The Special Event Magazine, Plan It Meetings Magazine, Meetings Management Magazine, Connect Corporate and Texas Meeting and Events Magazine. She is frequently sought after for her expertise by various outlets across the country. She has attained Certified Meeting Professional CMP, Certified Special Event Professional CSEP and Certified Incentive Travel Specialist status. Recently, she has added speaker to her broad range of industry accomplishments and passionately teaches about Event Innovations at conferences including The Special Event, ISES Houston and Oil and Gas Conferences. No event is too big or small, she loves them all from weddings to corporate events to nonprofit fundraisers and everything in between. She gracefully blends the keen eye and imagination of an artist with the business savvy of a utilitarian project manager to orchestrate among the most recognizable and highly regarded corporate events, charity fundraisers and government events. She is responsible for “the big picture,” creating the thematic relevance for events including branding, theming and scripting. Using her background in event, marketing and interior design, she creates the sense, style and chemistry of an event, campaign or activation from its inception and follows it through to its conclusion. She also is the genesis and inspiration of the décor, menu and direction and cultivates the ceremonial pageantry and protocol elements for our projects. She has a passion for the industry and especially for innovations in event technology and entertainment and is constantly pushing the boundaries in her projects. From her many success and accomplishments, it is clear that Deborah absolutely loves what she does because she does it with an unbelievable style and flair. HAVE AN EVENT COMING UP? WE’RE HERE TO HELP YOU BRING YOUR IDEAS TO LIFE.